The Anarchical and Revolutionary Crimes Act of 1919 , popularly known as the Rowlatt Act or Black Act, was a legislative act passed by the Imperial Legislative Council in Delhi on 10 March 1919, indefinitely extending the emergency measures of preventive indefinite detention, incarceration without trial and judicial review enacted in the Defence of India Act 1915 during the First World War. It was enacted in light of a perceived threat from revolutionary nationalists to organisations of re-engaging in similar conspiracies as during the war which the Government felt the lapse of the DIRA regulations would enable. The unpopular legislation provided for stricter control of the press, arrests without warrant, indefinite detention without trial, and juryless in camera trials for proscribed political acts. The accused were denied the right to know the accusers and the evidence used in the trial. Those convicted were required to deposit securities upon release, and were prohibited from taking part in any political, educational, or religious activities. 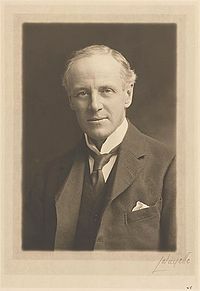 On the report of the committee, headed by Justice Rowlatt, two bills were introduced in the central legislature in February 1919. These bills came to be known as "black bills". They gave enormous powers to the police to search a place and arrest any person they disapproved of without warrant. Despite much opposition, the Rowlatt Act was passed in March 1919. The purpose of the act was to curb the growing nationalist upsurge in the country. Mahatma Gandhi, among other Indian leaders, was extremely critical of the Act and argued that not everyone should be punished in response to isolated political crimes. The Act angered many Indian leaders and the public, which caused the government to implement repressive measures. Gandhi and others thought that constitutional opposition to the measure was fruitless, so on 6 April, a hartal took place. This was an event in which Indians suspended businesses and went on strikes and would fast, pray and hold public meetings against the 'Black Act' as a sign of their opposition and civil disobedience would be offered against the law. Mahatma Gandhi bathed in the sea at Mumbai and made a speech before a procession to a temple took place.This event was part of the Non-cooperation movement. However, the success of the hartal in Delhi, on 30 March, was overshadowed by tensions running high, which resulted in rioting in the Punjab and other provinces. Deciding that Indians were not ready to make a stand consistent with the principle of nonviolence, an integral part of satyagraha, Gandhi suspended the resistance. The Rowlatt Act came into effect in March 1919. In the Punjab the protest movement was very strong, and on 10 April two leaders of the congress, Dr. Satya Pal and Dr. Saifuddin Kitchlew, were arrested and taken secretly to Dharamsala. The army was called into Punjab, and on 13 April people from neighbouring villages gathered for Baisakhi Day celebrations and to protest against deportation of two important Indian leaders in Amritsar, which led to the infamous Jallianwala Bagh massacre of 1919. Accepting the report of the Repressive Laws Committee, the Government of India repealed the Rowlatt Act, the Press Act, and twenty-two other laws in March 1922. ^ a b Vohra, Ranbir (2001). The Making of India: A Historical Survey, 2nd Ed. Armonk, New York: M.E. Sharpe. ISBN 0-7656-0711-5. p. 126. ^ Balaji, Balamurali (9 April 2013). "Remembering this week: Jalianwala Bagh Massacre – April 6th to April 15th, 1919". GhandiTopia. Retrieved 6 April 2019. ^ "From the Land of Paradise to the Holy City". The Tribune. 26 January 2006. This page is based on the Wikipedia article Rowlatt Act; it is used under the Creative Commons Attribution-ShareAlike 3.0 Unported License (CC-BY-SA). You may redistribute it, verbatim or modified, providing that you comply with the terms of the CC-BY-SA.